After a super long, way too busy day like today... I seriously need a glass of wine. It's also a Monday, meaning more work tomorrow, so I don't want to overdo it on the alcohol. The mineral water gives some carbonation and also cuts down on the amount of alcohol you're drinking. 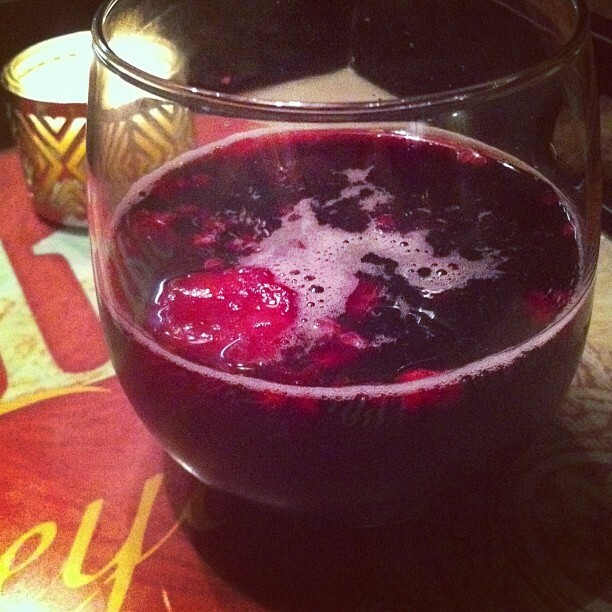 I love how the frozen fruit keeps your drink cold & also soaks up some flavor.. great as a little treat once the drink is gone! This recipe is great for dressing up a cheap bottle of wine (think Trader Joe's "2 Buck Chuck"). It may also be a winner for those of you who don't really love the taste of wine by itself. 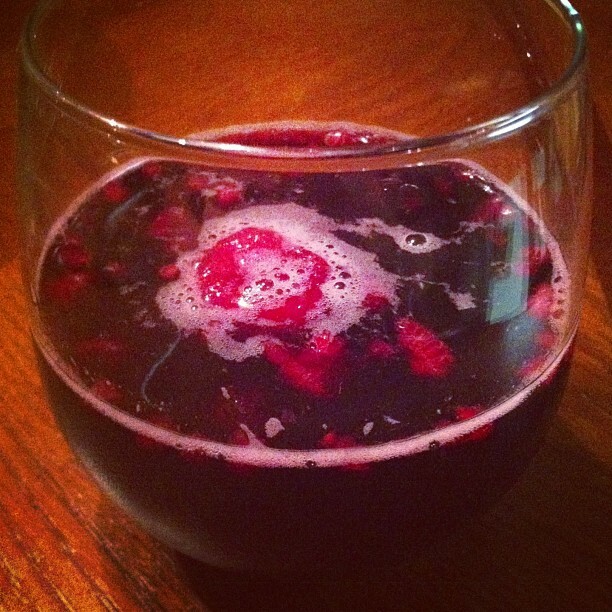 Place berries in a wine glass. 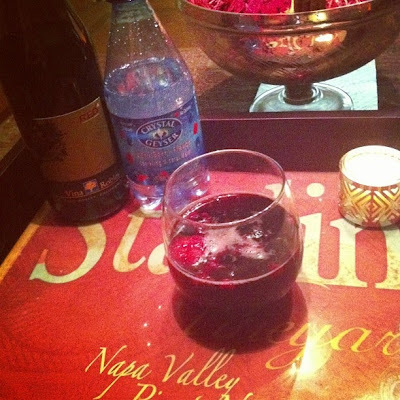 Pour the red wine & mineral water over top.